Gokalp Ari of Sunseeker Turkey has announced a price reduction for the Sunseeker Manhattan 60 “SARP”, now asking €595,000 ex Tax. 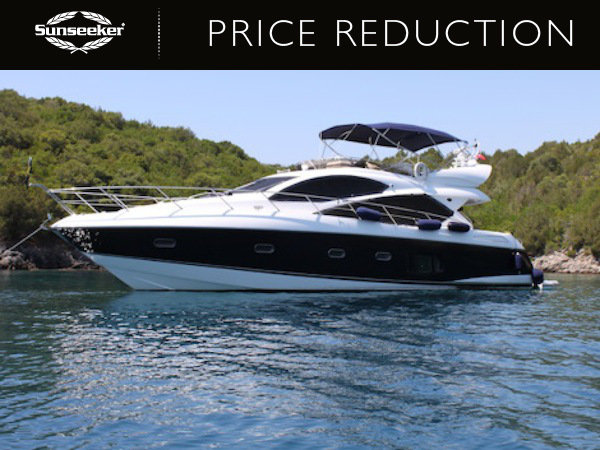 With only two owners, this 2006 Manhattan 60 is in great condition and is well known to her local Sunseeker office in Turkey. No expense has been spared with the yacht’s maintenance, and a full time crew has been on board “SARP” since new. Lying in Turkey, she represents an excellent opportunity.